The views expressed by these external links are not necessarily those of the Professional Garden Photographers’ Association (PGP) or of The Garden Media Guild. 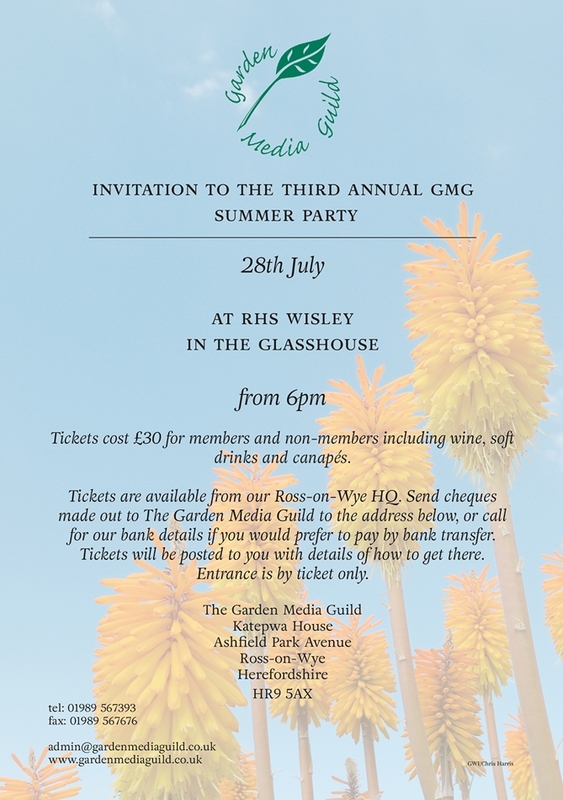 The third Garden Media Guild Summer Party is being held at The Greenhouse at RHS Garden Wisley on July 28. This will be a rare chance to enjoy Wisley after it has closed to the public, and be a lovely evening, where you can network with GMG members and industry contacts in a leisurely, relaxed way. Members of the Wisley team will be on hand to provide information on the gardens, as well as offering tours of the Glasshouse and the gardens.